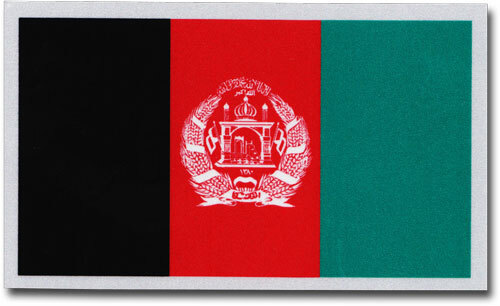 Our 2.25"x4" rectangular decal combines the Afghanistan flag design with a 1/8" reflective border for optimal visibility. The sticker has a self-adhesive backing for easy application on the exterior of a car, motorcycle or any other smooth surface. Made in the USA.